Brighter teeth can lead to significantly improved self-confidence, much the same way that stained teeth can detract from your smile’s appeal. At Serenity Dental, Drs. Tricia Doukas and Lezli Durbon use Zoom!® to provide topical whitening treatments. Through both in-office and take-home options, our practice creates brighter smiles for patients throughout Littleton, CO.
One of the major benefits of Zoom!® chairside whitening is the speed with which our patients are able to see positive results. With this in-office treatment, our dentists utilize a hydrogen peroxide gel to bleach the enamel and dentin of your teeth. This topical treatment is activated with the light of the Zoom!® Advanced Power Lamp, speeding up the rate at which the hydrogen peroxide is broken down and making your teeth multiple shades lighter within a single hour-long visit. Each treatment also comes with a sensitivity-reducing fluoride varnish to be used as necessary for our patients’ comfort. Zoom!® has been seen to achieve great results for patients with deep set stains, and has improved smiles by up to eight shades. 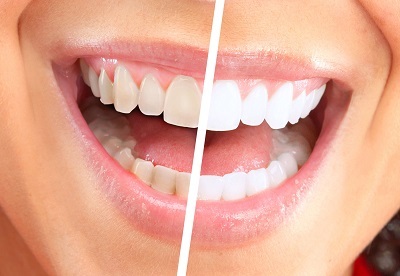 This treatment is ideal for patients who wish to have their teeth whitened during their lunch break, allowing them to return to their day with a stellar smile. We also have the Zoom!® take-home whitening system available at Serenity Dental, which includes custom-fit trays. Made from detailed impressions of your smile, these trays allow you to achieve whiter teeth on a schedule that works for you. While not as immediately noticeable as the in-office whitening our Littleton dentists provide, patients have seen positive long-term results through the use of this take-home option. This treatment can be used at a patient’s discretion, with the guidance of our Littleton dental professionals to ensure optimal results. Take home kits are also available to patients who have undergone in-office whitening treatments. Trays are fabricated and provided to patients as touch-up kits, allowing you to keep your smile’s newly achieved aesthetic appeal. Through in-office and take-home whitening treatments, we provide patients across Littleton and the surrounding communities with greater confidence in their smiles. 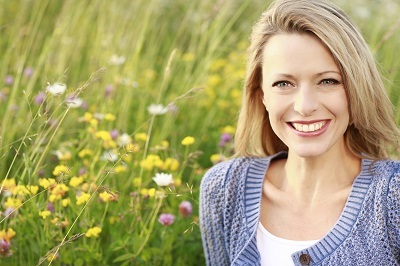 If you are interested in enhancing the appearance of your smile, contact Serenity Dental today.